We offer a full range of outdoor marketing options for a diverse range of clients. Drop us a message today for more information on outdoor media and how it can work effectively for your advertising campaign. Our Out of Home Advertising options across the country including roadside billboard, phone box ads, tube advertising and more. Contact us today for FREE quotes. We select the top outdoor advertising placements in prime locations, with heavy footfall, to ensure your ads are seen by target markets and achieve a great return on investment. Here at PromoMEDIA we are leading suppliers of outdoor advertising. If you are looking for billboards, phone box ads, bus adverts, roadside advertising boards, taxi ads or any other type of outdoor advertising media in between, our top marketing teams can get your company seen by your target market through effective outdoor advertising options. Outdoor Advertising (or Out of Home Advertising as it is often known) is one of the most popular marketing mediums in the country and is used by a wide range of companies due to its ability to offer a fantastic return on investment. At PromoMEDIA we offer all types of Out of Home advertising options in Castlereagh, to suit various budgets and locations. If this brilliant form of marketing is of interest to you fill in the enquiry form on this page and one of our outdoor experts will call you to back to talk you through the options and supply FREE quotes for you to consider. Check out our short video below to see some of the main types of outdoor media advertising options in action and witness how it can be an effective form of marketing for your business, product or service. Please find below a list of the various outdoor advertising options available through PromoMEDIA. The below is just an overview, for more information simply follow the links or drop us a message and we can send you more info. Alternatively, if there is something bespoke you are looking for, let us know and we'll see if we can help. There are many options for advertising at train and railway stations including posters on train station platforms, large digital screens in train station terminals (LED posters), large billboard posters positioned throughout the stations, standard railway posters found in walkways and in ticket offices, adverts inside the train carriages (cove ads), 48 sheets and 96 sheets on platforms and near the arrival/departure boards (these typically include brilliant sites by top outdoor suppliers such as Primesight, Exterion and ClearChannel), ticket barrier adverts and escalator panel adverts (LEPS). At PromoMEDIA we offer advertising at train stations all over the country from small local and rural stations through to major city centre station terminals (including London Euston, Manchester Piccadilly, Liverpool Lime Street, Kings Cross Station, Birmingham New Street, London Waterloo, Cardiff Central, Edinburgh Waverley etc). Railway and train advertisements are hugely popular with our clients at PromoMEDIA, hitting a cross section of demographics and commuters on a daily basis, this means that this form of marketing is suitable for almost any brand, service or product. Roadside advertising options include large traditional static 48 sheet and 96 sheet billboard posters plus there’s also new digital billboard sites which have a fantastic impact all day and all year round; these are particularly striking as Motorway billboards, Storm Adverts or LED ads on main city ring-roads. Billposting, billboards and roadside adverts have great visibility and are seen by people driving, walking or when stuck in traffic. They are one of the oldest and most proven forms of outdoor advertising in the country. These types of roadside adverts and billboards are offered all over the country via PromoMEDIA; in locations ranging from roads into and out of small villages through to main roads into cities, as well motorways and major A-roads. Almost every road in the country has an advertising option. Other roadside advertising board options include wrap 48 sheet billboards and freestanding 96 sheet posters (popular at major roundabouts and junctions) – with both static and scrolling billboard versions typically available. Often with roadside advertising, many people know which billboard site they specifically want, or decide to buy a bundle of billboards in a particular area to have high impact - just let us know which suits you and we will sort it. At PromoMEDIA we can recommend or locate the best roadside billboards for your local or national advertising campaign, securing these at the best rates for you. We aim to take the stress out of your outdoor marketing and make it simple! If you are interested in roadside billboards contact us today. Advertising in shopping centres, retail parks and their locale (eg. carparks, roundabouts etc) is particularly popular with clients directly promoting products that are being sold in that shopping centre (e.g. fashion, beauty and sportswear) but this form of marketing also favours local businesses and regional services, promoting goods and events nearby, such as restaurants, gyms, leisure facilities and healthcare services such as dentists and doctors. Adverts in shopping centres, shopping malls and retail parks is a great form of outdoor advertising as it hits people who are out and about, wanting to spend money and in a relaxed mood. Each main town and city has at least one – some numerous shopping centres we can target – this means that there are lots of locations to choose from, as well as lots of types of outdoor advertising options available within the shopping centres themselves. At PromoMEDIA we have excellent relationships and regularly work with the busiest shopping centres across the country to secure the best rates and positioning, including advertising at The Trafford Centre, Arndale, Westfield, The Bullring, Bluewater etc. as well as smaller more local malls. If you think shopping mall advertising is something you’d be interested in to promote your company or business please fill the form in, let us know if you have a preference for any particular shopping centres or any particular type of outdoor advertising option mentioned. Buses are an excellent way to get your company or product seen in lots of different areas in a particular locale. In many ways bus adverts are like moving billboards meaning their impact can have a wide reach into particular areas and communities – you can even select particular routes! Or you can even brand a whole bus - known as bus wrapping! As buses drive across, villages towns and cities from early morning till late or night (or all through the night in the case of London Red Bus Advertising) they offer brilliant value for money and constant coverage. Bus adverts are therefore popular with many companies as this type of marketing achieves wide reach and diverse coverage, whilst offering value for money via an excellent return on investment. For more specific information on bus adverts check out this page - https://www.promo-media.co.uk/type-of-ads/bus-ads/castlereagh/ - or simply contact us today. 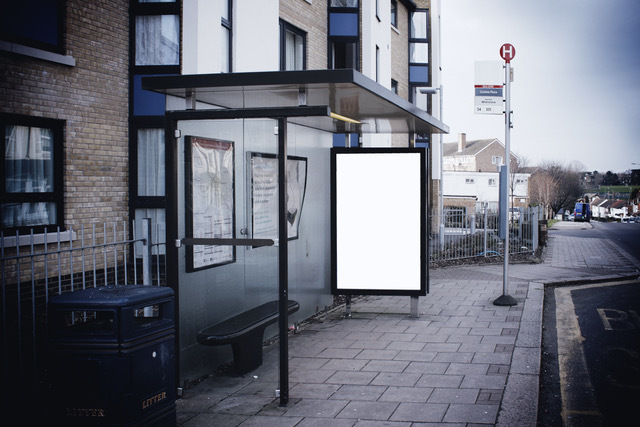 As well as options to brand buses, static bus stop adverts or bus shelter ads as they are sometimes known, are highly effective and one of the most popular forms of media with our clients at PromoMEDIA. With buses a hugely popular form of transport for many people on a daily basis, passengers spend a lot of time stood at bus stops (often in the rain it seems!) waiting for a bus to turn up. For advertisers, this is great chance to get a message over to potential customers; bus stops ads therefore offer a brilliant “opportunity to see” and chance to engage with people who are often looking around and in a receptive mood. And of course it's not just bus passengers who see the adverts but people both walking and driving past. Bus stop ads share many of the benefits of BOTH standard bus advertising and billboard adverts, to summarise; they are seen by a cross-section of communities and people, including commuters, workers, families, people walking, driving or those stuck in traffic. These factors therefore make bus stop adverts popular with lots of different companies with London bus stop adverts (red bus advertising) very popular for both national outdoor advertising (those wishing to raise their profile in the capital) as well as London specific campaigns. Specific options for bus stop ads include posters of various sizes at the bus stops (4 sheet and 6 sheet are the most common) - these can be static, scrolling and even backlit for greater standout. Sometimes, standard bus stop advertising is referred to as Adshel ads whilst electronic bus shelter posters are often known as Adshel Live. At PromoMEDIA we secure great rates for national, local and London bus ads and bus shelter campaigns. The London Tube network – which covers over 402km, serving 270 stations - is used by 4.8 million passengers a day. London outdoor advertising is therefore NOT just for companies from London but very popular with companies from all over the UK who are looking to expand and get their profile raised. As you can imagine there are multiple London advertising options to consider, all of which can work on a variety of budgets. Advertising on the London Underground (or Tube Advertising as it is commonly known) is hugely popular and used by a variety of companies and industry sectors because London not only has lots of residents but many business people visiting - as well as those on holidays or short breaks, this makes Tube Advertising key for many businesses. Many national and international companies believe if you can "crack" London, you can go global! 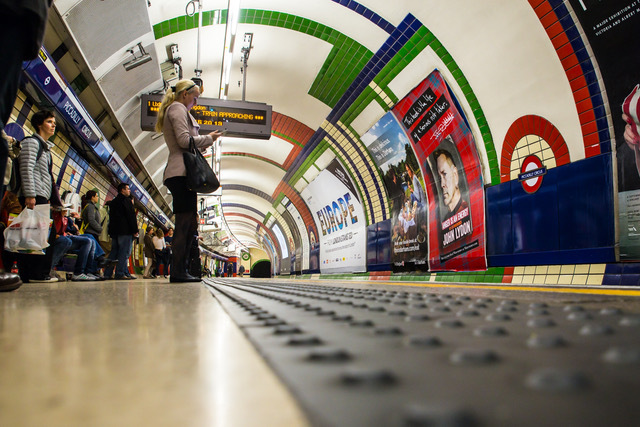 With London Underground ads you can target certain stations and areas (Central Stations or more Commuter Belt stations) where your target audience may socialise, work or live. The cost of London Underground adverts varies depending on the time of year and also which stations you want to advertise in, some stations are more premium as a higher number of people use them every day. LEPs are the posters that you see at the side of the side of these escalators (when you go up and down) entering and exiting tube stations and are the most popular form of tube adverts. Check out the video above to see the various options for tube adverts working in real life! High-impact adverts on the side of escalators as people enter tube platforms or train stations are seen by a massive amount of commuters and tourists using local train stations, shopping centres, the London tube network and other similar underground UK transport systems every day. They are printed but now (at certain stations) digital tube poster options are available, with electronic and LED backlit billboard to choose from. If escalator panel ads are of interest get in contact today via the form on this page. Taxi Advertising in Castlereagh is a form of out of home marketing which is developing and gets stronger and stronger every year. Options include "in taxi ads", branding a taxi cab or digital taxi advertising (adverts on internal screens). Taxi advertising in general is becoming more popular with advertisers as they offer value for money and a decent return on investment. Taxi adverts are particularly popular in London who have a very large fleet of black cabs but many local, regional and independent firms are now starting to brand their cars at great rates. It is accurate to say that taxi adverts share similar benefits to those of buses - as they drive into lots of areas and hit a good cross-section of society. Taxi ads are therefore a great form of mobile and vechicle marketing, getting your brand in the public eye across a wide-ranging area. Phones boxes may not be popular for their initial usage anymore - as everyone has mobiles - but phone box advertising is now more popular than ever. In fact the last few years have witnessed a resurgence in this form of marketing - their positioning naturally in high-density areas and visibility meaning they have a great visible impact! At PromoMEDIA we believe that phone box advertising is a great and different way to advertise a company or product and a brilliant way to reach people in pedestrianised and shopping areas all over the country. Phone boxes in town shopping centres are popular with advertisers who often develop fun and quirky artwork and ideas to stand out from the crowd. Options include branding the sides of a phone box or phone kiosk in full. A new form of outdoor media! Socialite does what it says on the tin... targets people socialising through digital out of home (DOOH). These screens are typically placed in places such as pubs, cinemas and bars on digital screens. Although a relatively new addition to the marketing mix, socialite advertising is proving both very popular and very effective in targeting an adult market who are out and about spending money and in a relaxed mood. Adverts in cinemas are another growing marketing sector popular with advertisers. The great thing about cinema advertising is that you can also target certain films (based on release dates) to fit the demographic of your target audience. For a FREE no obligation quote or to find out more information about any of the above options, or if you have more questions, drop us a message. One of our friendly and experienced team members will call or email you with more information. How Much Does Outdoor Advertising Cost in Castlereagh? Again a common question is “How much does a digital billboard cost?”, “How much do standard billboards cost?”, “How much is it to advertise at a bus stop?” - to be honest there isn’t a set price for individual types of outdoor advertising. Location - city centre sites are often well-sought after as they have a higher “footfall” or greater “opportunity to see” - basically meaning more people see your outdoor ad. This unfortunately can mean higher prices, however, this greater exposure often leads to more sales. You will need to balance these up when planning your campaign. Time of year - Christmas and key dates, such as Valentine Day, Easter, Mother Days etc are often more expensive and get booked quicker. This is because lots of advertisers are looking to get maximise exposure and sales for their products at these key marketing and promotional times of the year. If you are looking to promote around these keys dates, remember to book ahead. Seasons of the year - some outdoor ads often work best in summer when people are out and about, however, newer digital options (and back-lit posters) mean that posters can still be bright and clear all year round. The size of the ad - a large format poster is obviously more expensive than a smaller one. At PromoMEDIA we can arrange posters from small A4 posters through to 4 sheets, 6 sheets, 48 sheets and even massive 96 sheets. Some campaigns work best using large billboards, others lots of smaller ones, seen everywhere. What would work for you; lots of smaller posters or a few large impactful ones? Length of time – obviously the longer the cycle you want your campaign to run the more expensive it will be. Most outdoor sites are booked for a minimum of 2 weeks per site but we often recommend a longer cycle to gain better exposure. Typically a 3-month campaign achieves great results. Large national and international companies have year-round presence. Our outdoor media experts will advise you on suitable options and variations based on the information you give us and your budget. Just fill in the enquiry form and one of our specialists will get in touch to arrange a plan. As mentioned it is advisable to try and plan your marketing in advance, this will allow your campaign to run at the times you like and in the best locations. Effective marketing planning is the key to success and keeping costs down. What Outdoor Advertising Options are the Best? We often get asked this question or what are the “most effective forms of outdoor advertising?”, to be honest there isn’t a simple answer and the truth is no one form of outdoor advert is better than another, it all depends on your artwork, what you are selling, your budget, your location and time of year. Some types of products also naturally lend themselves to being promoted through a visual medium as well, which is where this type of marketing really thrives. As independent outdoor advertising specialists, PromoMEDIA can recommend the best options for you based on your individual needs, advising even on if outdoor adverts are suitable for your product or if another form of advertising would be more appropriate. If so specific recommendations will be given, these options could include; billboards, LED screen ads, bus ads, 48 sheets, underground ads, phone box ads and many more. The aim of our campaigns is to always hit your target market at The Right Time, Right Place and Right Price. What Types of Outdoor Advertising Work Well Together? At PromoMEDIA we often find that a combination of different types of Out of Home media works successfully. For example, a mixture of billboards, bus ads and phone boxes can really target a particular area (think of a shopping high-street where you can see all these types of media in a small proximity), this means wherever a person turns they are likely to see your advert in one form or another – they can’t escape it; that is the power of outdoor advertising! This type of high-frequency marketing also means you will be more likely to get new enquiries and sales. It’s often said that people need to see (or hear) an advert or promotion a minimum of 3 times before they consider buying a product or service - as we all know, sometimes it just takes a bit of time to take things on board and for an idea to sink in. Therefore, a mixture of carefully selected outdoor ads can reap brilliant results. Our aim at PromoMEDIA is to always get you get a great return on your investment and our specialist outdoor media teams will discuss the advantages of the different options in your town or city to make this a reality. Outdoor ads should not just effectively raise your profile but increase your turnaround and profits. Different outdoor marketing companies will have different opinions on this but at PromoMEDIA we believe that artwork is key to success. The message and image on your advert should be simple and striking so people understand what you are and what you are selling straight away. When outside, people are often rushing around; going to work, school, the gym, a date, visit friends, to the theatre, a pub etc. so as they are driving or walking past you want to make sure your message is clear and eye-catching - not too complicated or too wordy. The best sites get booked up months in advance. 3. Combine with other media? Outdoor advertising techniques work brilliantly on their own but combining them as part of an overall marketing package can be really effective. At PromoMEDIA we offer a total media package so what about looking at TV ads? Radio packages? Or even print options? Perhaps online support? - you can then hit your target market across multi-media options and in various marketing formats. It is obviously important to carefully consider the billboard size which is going to go to work best for your outdoor campaign. 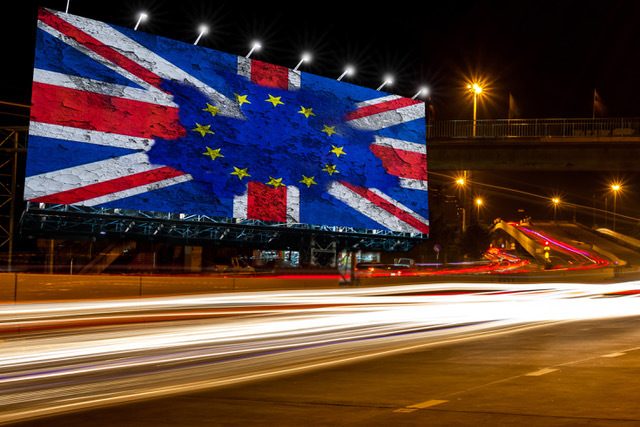 The reason for this is if you are looking to place an advert at the side of a motorway it needs to be very large and catch the eye - so 96 sheet billboards are recommended in these cases. However, if you are looking for somewhere people may be walking or standing close to, something such as StreetTalk advertising on phone boxes or smaller 6 sheet poster campaigns would work well. The table above shows both the dimensions in millimetres and also in inches. Outdoor advertising options are a brilliant way to raise company profiles and attract new customers, as well as keeping you in the mind of existing ones; certainly, if your artwork is eye-catching and the message is strong, the positive effects of outdoor advertising is proven, significant and offers a great return on investment. The types of outdoor media vary across each town and city in the UK, with outdoor advertising options continuing to grow, evolve and develop every year with new sites added - there are lots of options to consider! With so many different outdoor advertising options it can seem daunting for advertisers to select the correct type of external advertisement for a marketing campaign. At PromoMEDIA we are able to help and advise on what would be most suitable for you. The best forms of outdoor adverts for a particular campaign are often dependent on what you are looking to promote as well as where you are. There are different outdoor ad options all over the country to choose from and some work better in certain areas than others. Our experienced media planners will suggest the most appropriate types of outdoor advertising options for your business, based on where you are, your outlined marketing aims, your budget is and your product or service. There are options to suit a variety of budgets meaning that outdoor advertising is an accessible medium for most companies. Another phrase for outdoor advertising is OOH. This actually stands for Out Of Home Advertising. This phrase is more typically used in the USA but sometimes by agencies in the UK. OOH advertising can also be known as OOH Marketing, OOH Media and OOH digital. All the options we list further up the page as Types of Outdoor Media are essentially OOH opportunities - it’s just a different term for them. If outdoor advertising is something you're interested in for your business contact us today and we can put together a cost-effective plan for you to consider. At PromoMEDIA we carry out the professional media planning and media buying of top outdoor campaigns on a daily basis for local, national and international companies. Outdoor marketing is the most popular form of advertising that we deal with at PromoMEDIA; it has stood the test of time and continues to produce brilliant results. If you would like to order an external public advert to promote your business, product or service please do not hesitate to contact us. We look forward to hearing from and getting your product, service and messaging in front of thousands of potential customers in Castlereagh with effective outdoor advertising.